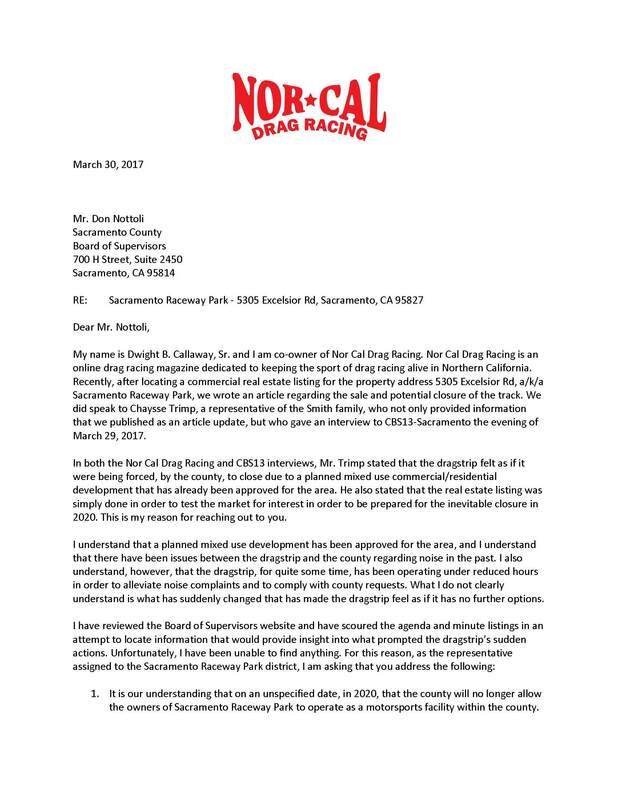 As a follow-up to our story published a couple of days ago (read the original story by clicking here) regarding the land listing and imminent closing of Sacramento Raceway Park, Nor Cal Drag Racing has written the below published letter to Don Nottoli – District 5 – County Supervisor – Sacramento County, CA. 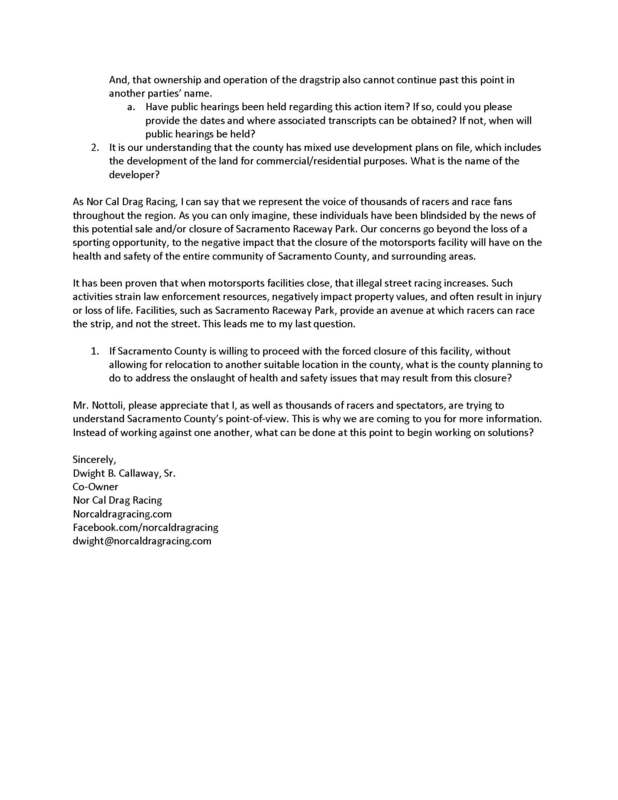 This letter was written after the interview provided to CBS13-Sacramento by Sacramento Raceway Park. 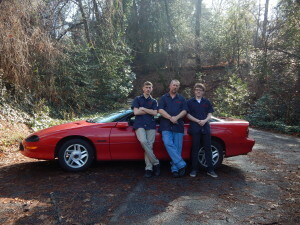 In this letter, Dwight Callaway, Sr., not only asked for clarification from Mr. Nottoli regarding the county’s position, but ask how we, as a drag racing community, can work with the county to resolve this issue. 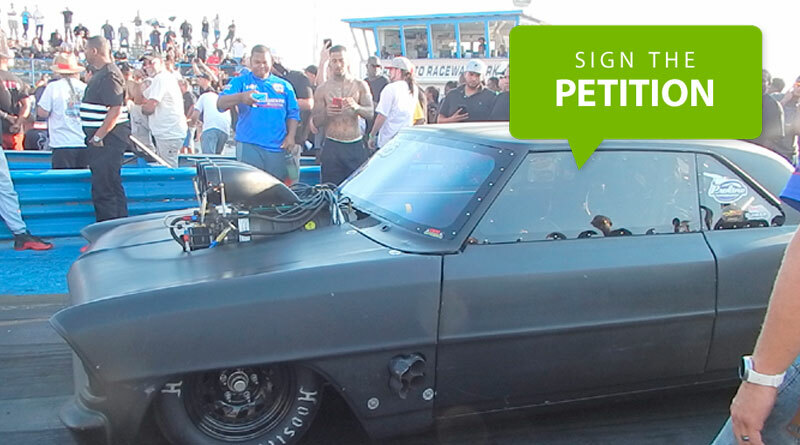 In an effort to show support for this letter and to put forth an effort to “Save Sacramento Raceway Park” or “Protect Drag Racing in Sacramento,” we are asking all racers and spectators to not only circulate, but sign our petition. 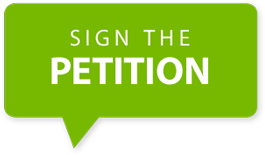 We also encourage any interested party to contact the county directly and demand answers regarding the facts surrounding the potential sale of the land that is home to Sacramento Raceway Park and the imminent closure of the facility. 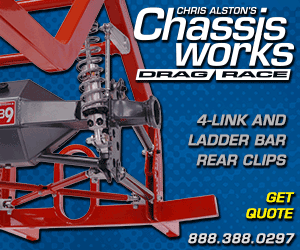 ← Sacramento Raceway Park Closing?